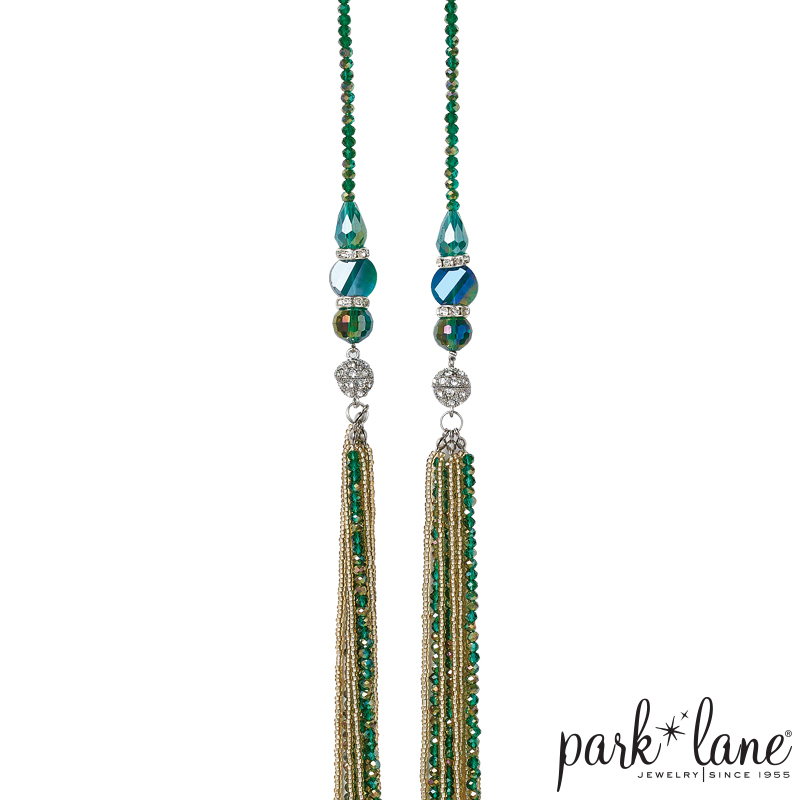 A spectacular necklace of faceted smoky topaz jewels, simulated jade orbit beads, and emerald green aurora borealis. Adorns the neckline and fastens with a richly-textured gold chain. 17”+3”ext.